New! 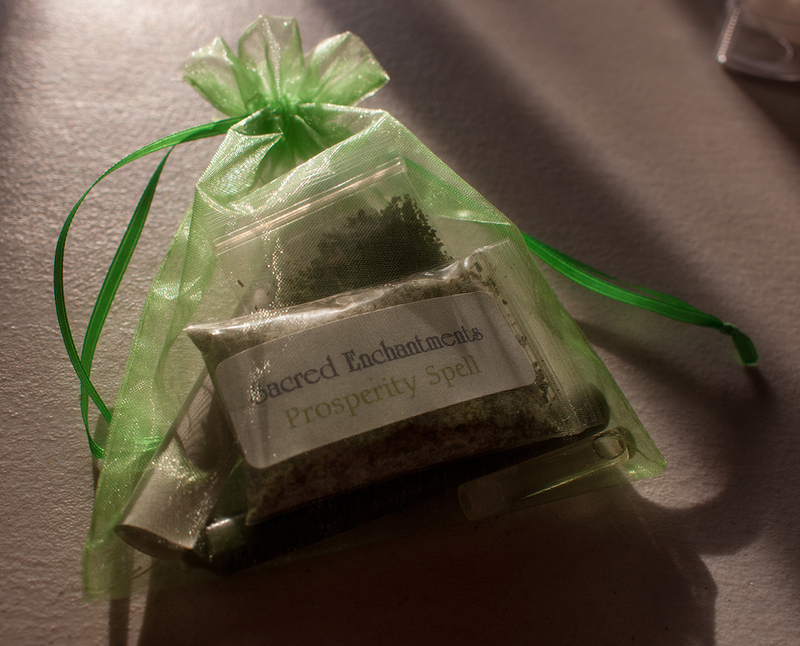 Sacred Enchantments Spell Kits! Our popular and delicious smelling Spell Kits are back! Each kit was created with a specially formulated set of organic herbal ingredients, chosen to resonate with the energies of love or prosperity. The kits were crafted entirely within the Temple and were made on the day of the full moon. The crafting was guided by our Priestesses and were created with magick and intention. The kits are packed in an earth-friendly reusable pouch and come with the following items: a candle of the correct color, a vial of anointing oil, a packet of ritual bath salt, a packet of incense (for burning on a charcoal, which is not included) and a scroll containing the instructions and the spell itself. All of the herbs used in the kits are certified organic. 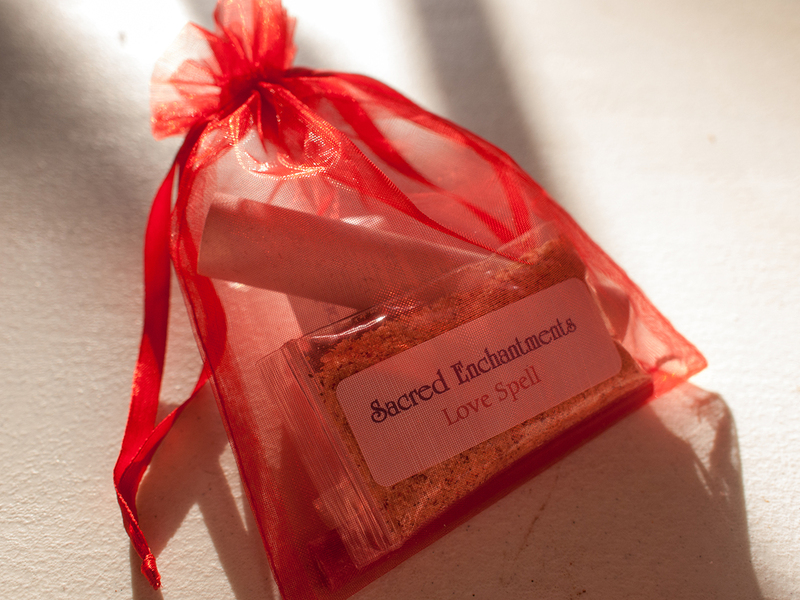 The Love Spell Kit - Invite more love into your life and open your heart to a fuller awareness of all the love around you now. The Prosperity Spell Kit - Create space for more abundance in your life! Prosperity can come in many forms, and we can all use a little more of it! Each kit is $7 plus 2.99 shipping. You can also save $3.99 by ordering both at the same time for $13! If you are planning on attending any of our events, you can also purchase the kits in person.